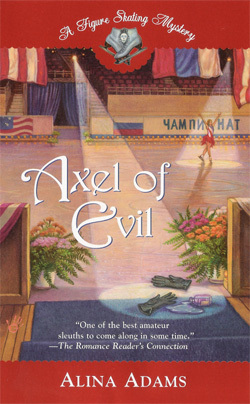 On January 30, 2006, World Champion Kurt Browning will throw his hat into the Children's Literature ring with the publication of "A Is for Axel: An Ice Skating Alphabet," a picture book for the 4-8 year old set. 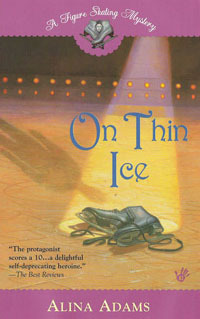 (My favorite Kurt Browning memory is from the 1992 Worlds in Oakland, where Kurt stayed in the official hotel lobby, taking pictures and signing autographs long after every other skater had called it quits). A year ago, it was Olympic Champion Robin Cousins making his illustrated picture book debut with "Adventures in Frostavia." 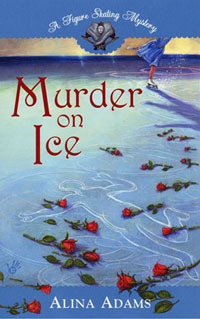 Illustrations for “Adventures in Frostavia” were by provided by two of Cousins’s colleagues from “Holiday on Ice,” Linda and Pavel Albrecht.